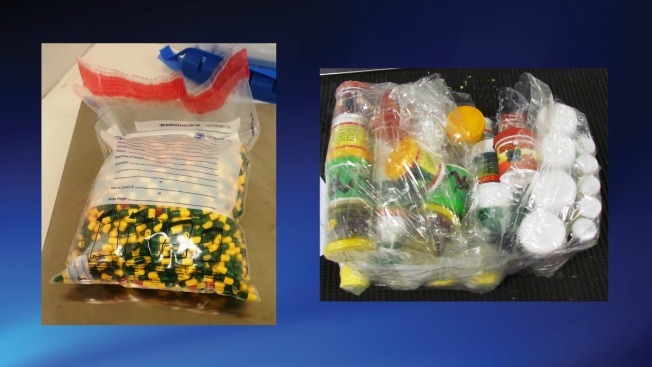 Customs and Border Protection officers seized more than two pounds of cocaine at Dulles International Airport Friday from a Guatemalan woman who attempted to disguise the drugs in bottles marked as natural medicine, according to a press release. After arriving from El Salvador with her daughter, a minor, the woman went through a secondary examination that required inspection of her packages because she had requested entry as a courier on business. Among her packages were 20 bottles labeled as natural medicine. After opening one of the bottles, a CBP officer noticed a deformed capsule with a white powdery substance on the outside. The substance in the capsule tested positive for cocaine. CBP officers discovered each bottle contained similar capsules filled with cocaine. Weighing just over two pounds four ounces, the amount of cocaine would likely have a street value of more than $116,000, according to the press release. The woman returned to Guatemala that day and cannot return to the U.S. for a minimum of five years. Between Oct. 1, 2012, and Sept. 30, 2013, Dulles CBP seized over 12 pounds of cocaine in four seizures.